A popular activity in Randwick, scuba diving allows you to get up close and personal with all manner of marine life. The crystal clear waters are home to a cornucopia of beautiful and exotic fish, and a fascinating variety of other sea creatures. Many people choose to follow the diving trail through the majestic underwater paradise of Gordons Bay. The tranquility of Gordon’s Bay provides an excellent milieu for a peaceful diving experience or a blissful day of swimming and relaxation. Other popular locations include Clovelly Bay and the waters surrounding the historic fort at Bare Island in La Perouse. Pro Dive (02) 9665 6333, located at 27 Alfreda Street in Coogee can assist you with all your scuba diving needs. Explore the magic of the undersea world from above, snorkelling through the clear blue waters along The Sports Coast. Snorkelling is a free activity that can be undertaken by people of all ages who are confident in the water. All it requires is a mask and snorkel. Flippers are optional, but they do help to propel you through the water more easily. Snorkelling is a relaxing pastime, and a great way to learn about marine life. Discover the inhabitants that live beneath the water’s surface. You will be amazed at the colours and shapes that are hidden below in this fascinating world. It’s a wonderful feeling to swim with the fish and watch the graceful movements of the grasses and aquatic life. The Sports Coast is the ideal place to begin your pursuit of underwater discovery. With 25 kilometres of coastline, there are endless opportunities to swim around and find the creatures of the deep blue sea. Clovelly Bay is sheltered, protected by a breakwater that creates the ideal location to explore the submarine world. A ramp on the northern side of the bay provides easy access for the disabled. Observe the different sea plants, star fish, sponges, and schools of colourful fish such as the protected blue groper living in their natural environment. Gordons Bay is a unique and protected aquatic reserve. An offshore reef, protects the bay making it a safe location to explore the beauty of this unique world. Slide in to the crystal clear waters and view the magnificent marine life from above, searching for life such as sponges, star fish, sea urchins, cuttlefish, anemones and the blue groper. Spotted goatfish, garfish and baby sharks can also be seen and are just a few of the species that you can swim with in this protected aquatic reserve. On calm days the rock pool at the northern end of Coogee Beach offers a safe place where you can snorkel around the pool and discover the variety of marine life that lives in the area. A short walk north from the beach to Dunningham Reserve will lead you to the remains of Giles Baths. From here, follow the sandstone steps down to the rock pool below. Enjoy the journey as you discover the secrets of the sea and explore the many beaches and bays as you travel along The Sports Coast. You will be amazed and delighted at the variety of sea life you will find hidden below in the serene world of the deep. Raylene Bliss, editor of local newspaper the Southern Courier, shared her tips in the February 11, 2011 edition on the best places to snorkel in the Sports Coast. Clovelly Beach is the favourite among the local snorkelling set. This natural rock pool off Clovelly beach is about the same size as two Olympic swimming pools combined and is just like a giant aquarium. Expect to see blue groper, giant cuttlefish, the odd Port Jackson shark and plenty of schooling fish. Bare Island, La Perouse lies one of the most beautiful underwater playgrounds for snorkellers. Accessed by footbridge, Bare Island is one of the more popular spots for snorkelling and diving. Sea horses are abundant and, in addition, you can expect to see weedy sea dragons, morwong, giant cuttlefish, morays, velvet fish, sponge crabs, dwarf pipe horses. Gordons Bay, Clovelly is a picturesque and protected bay located in just south of Clovelly beach and north of Coogee. 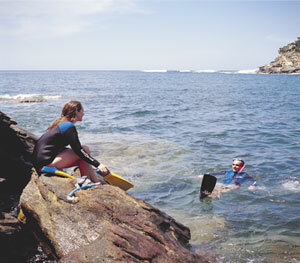 One of the safest spots to snorkel in Sydney, Gordon’s Bay is perfect for beginners and families. The water is usually crystal clear making viewing the marine life a joy. Expect to see sponges, starfish, sea urchins, cuttlefish, anemones, the blue groper, spotted goatfish, garfish and babyfish. On April 2 1931, the MV Malabar struck the headland at Long Bay, now named Malabar after the shipwreck. The passenger and cargo steamer was making the journey to Singapore from Sydney. All 28 passengers and 109 crew aboard survived, but more than 300, 000 people came along to the shore to witness the spectacle. Today, snorkellers and divers can visit the wreck site where they can view the engine which sits upright on the sea floor. 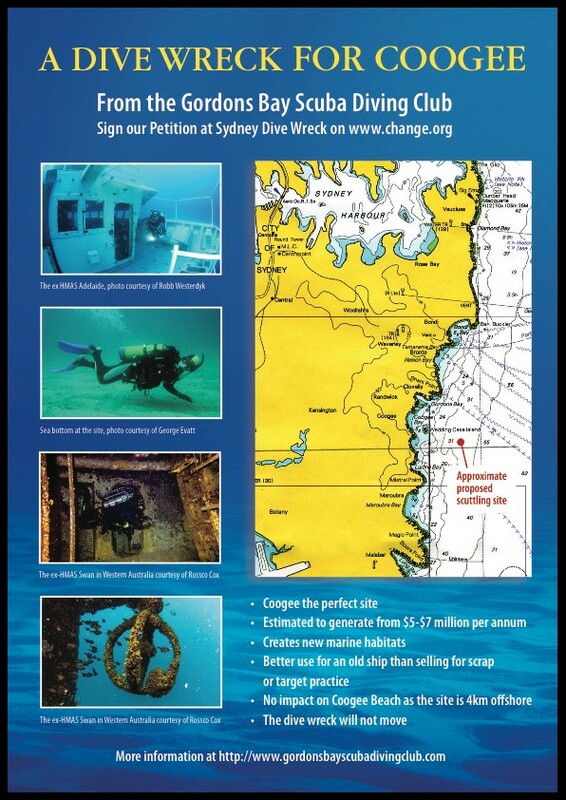 Other remains of the vessel are stuck in between reefs and are amazing viewing for history buffs. Little Bay, Port Botany is isolated yet picturesque. Little Bay provides an underwater playground for snorkellers. Here in the calm waters you can see a colourful range of underwater delights. Anemones are large and apparent and provide a colourful spectacle. In addition, you can expect to see black urchins sitting quietly on the reef along with eastern slate pencil urchins, which are rich in colour.